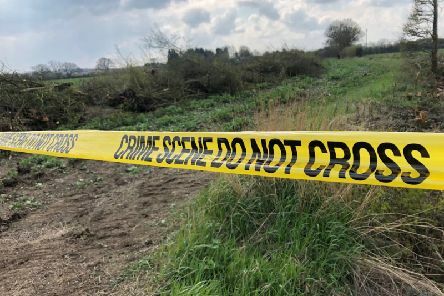 Last Saturday, Anti-HS2 campaigners in Steeple Claydon had cause to cordon off a hedgerow that had been cut down after finding what they believed to be a recently made bird's nest. 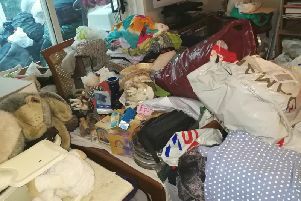 A tradesman was ordered to pay more than £10,000 in fines and costs after refusing to clear plumbing waste from his home in a quiet street in Towcester. 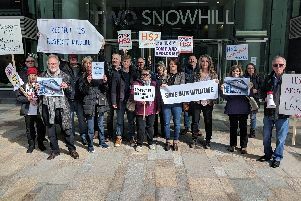 A drop-in centre in Steeple Claydon organised by HS2, which took place last Thursday, has initiated a bizarre chain of communication regarding the project's timelines. 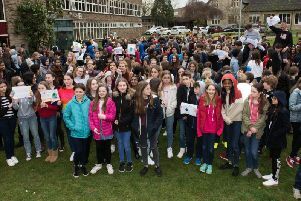 Students from The Royal Latin School in Buckingham took the morning off from their usual schedule last Friday to call for more action on climate change. 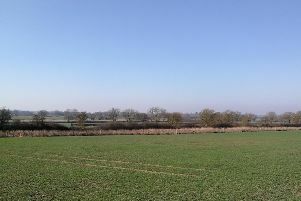 Over the next 12 years North Bucks is set to undergo changes that will completely change the landscape of the region, but a huge question mark remains over whether the people affected have had their voices heard or represented. 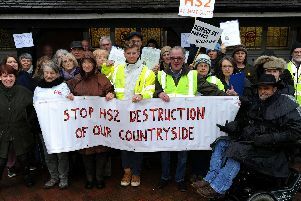 Around 200 protesters turned out at Calvert Green Village Hall on Wednesday evening to let their feelings be known to the High Speed Two (HS2) representatives present for one of their drop-in events. 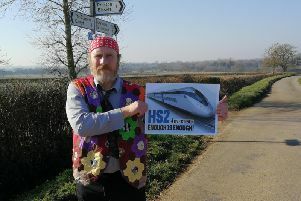 On Wednesday, Buckingham town and district councillor Robin Stuchbury took this reporter on a rambling journey across farmland between Twyford and Preston Bissett – ground zero for HS2. 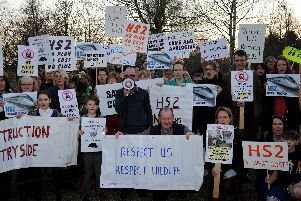 The High Court has refused permission for Berks, Bucks and Oxon Wildlife Trust’s (BBOWT) claim against the Government regarding the Oxford to Cambridge Expressway. 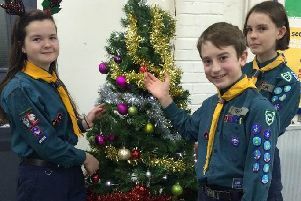 1st Maids Moreton Scouts will once again be offering their annual Christmas tree collection and disposal service for Buckingham and Maids Moreton residents in January. 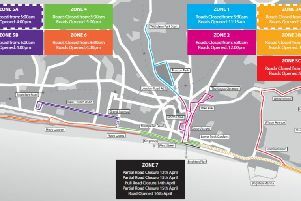 The route for the new Brighton Marathon 50km bike ride has been revealed. Is this how we treat our elderly in Buckingham? On Wednesday this paper became aware of a case of woeful mismanagement in its duty of care for a member of the community by local doctors and social services. 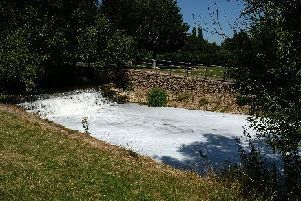 A drop-in event to discuss the restoration of the River Ouse following the pollution incident in June is being held next month. 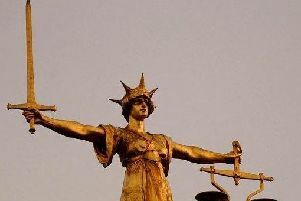 A business in South Northamptonshire has been ordered to pay more than £22,000 over smoke and fumes from a biomass boiler being a nuisance to neighbours. 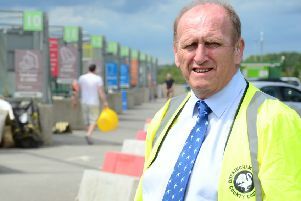 This week Highways England revealed that the corridor within which an Oxford to Cambridge ‘expressway’ will be constructed is set to run through the heart of North Buckinghamshire, notably incorporating the town of Winslow. 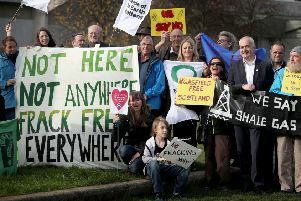 Research has revealed that Bucks County Council has invested £61.5 million of their pension schemes into highly controversial fracking businesses. An eight week consultation starts today (August 28) to hear the public’s views on a series of proposed cost-saving measures to make the county’s household recycling centres affordable for the future. 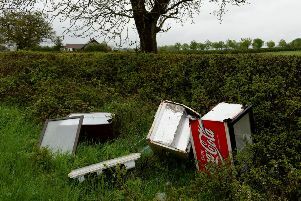 The Bucks Waste Partnership has launched a new campaign to rid the county of fly tippers who dump their rubbish illegally. 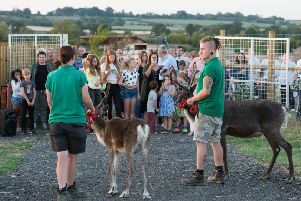 Families and visitors enjoyed a tour of Green Dragon Eco Farm’s new wildlife zone yesterday evening (Tuesday).